With the award winning Lynx MiND™, Lynx Technology brings its latest offering to the Smart Home market. 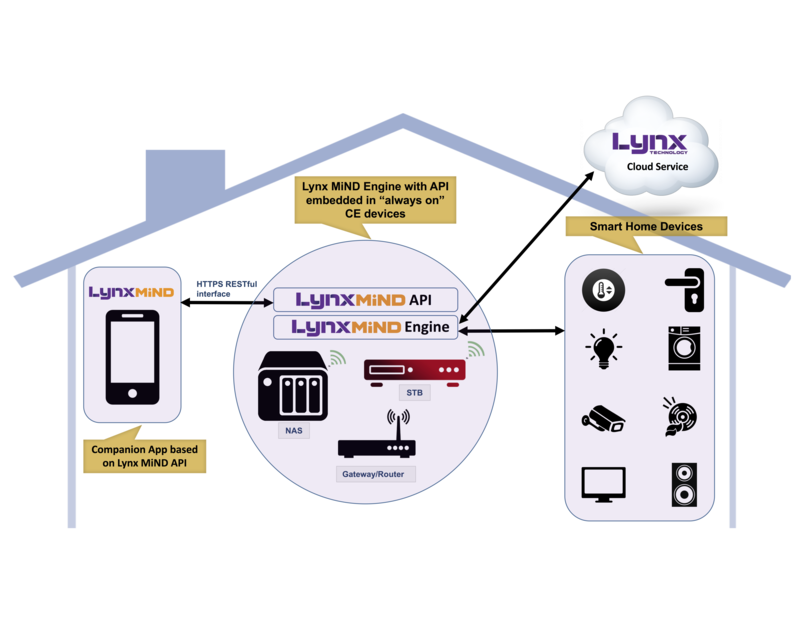 For Consumer Electronics companies and Service Providers who want to participate in the smart home in an easy way, Lynx MiND is an OCF Certified smart home solution, which includes a rules engine (U.S. Patent Pending), that will enable a gateway, NAS, wireless router, STB, home controller or other device to be transformed into a central smart home hub. Because Lynx MiND (which is an acronym for Managing Intelligent Networked Devices) is OCF Certified, it is protocol agnostic, which allows your customers to securely discover Zigbee, Z-Wave, Thread, DLNA and other smart devices* in the consumer’s home, and to ensure interoperability with these devices from one central hub using a companion app. It does this reliably without the typical headaches and performance problems that are common with smart home solutions today. We're not the only ones that think Lynx MiND is a winner, so does IoT Evolution World Magazine. Lynx MiND was a recipient of the 2018 IoT Evolution Connected Home and Building Award. The award honors organizations delivering software or hardware solutions which enable the advancement of the smart home and building industry. Lynx MiND has the unique ability to help your organization establish a business in the emerging smart home market, differentiate your products to increase unit sales and gross margins, and introduce innovative business models to increase and diversify your revenue streams. into the Emerging Smart Home Market. Differentiate Your Product Lines; Increase Unit Sales and Gross Margins. Introduce Innovative Business Models; Increase and Diversify Revenue Streams. Lynx MiND is a fully white label smart home solution that includes a mobile app, cloud service and embedded engine (U.S. Patent Pending). This means you don’t have to develop this capability in-house through a major investment and a large dedicated team. Lynx MiND is based on the open source IoTivity-Lite implementation of the OCF standard. This provides you with investment protection through the shared participation of OCF members, industry leaders in their own right, for the advancement of the standard. Lynx MiND and IoTivity-Lite have advanced memory management to support devices securely, with minimal memory capacity and CPU power, greatly expanding your presence in the smart home. 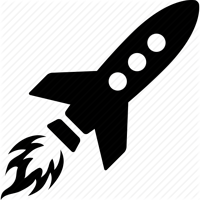 The wide interoperability of Lynx MiND, with support for multiple standards and devices, will increase the speed and scope of your market penetration. As more OCF certified smart devices enter the market, the more valuable your Lynx MiND embedded product will become. Our reliable implementation eliminates the typical headaches and performance problems that are common with smart home solutions today. Lynx Technology is without peer globally, when it comes to embedded software solutions for consumer electronics devices. Our subscription-based agreement ensures you keep pace with the latest technology advances and standards. Lynx MiND upgrades, technical support and professional services are automatically included in our subscription-based agreement. Lynx MiND includes an embedded rules engine (U.S. Patent Pending) that provides unprecedented ease of use for the end user, enabling them to truly automate their home through scene creation. Lynx MiND allows the management of all smart home devices through a single, easy to use, mobile app, rather than saddling the end user with multiple apps to manage multiple smart devices. Lynx MiND is based on the IoTivity-Lite implementation of the OCF standard, which provides OCF compliance for resource constrained devices and small operating systems and can be quickly customized to any platform. 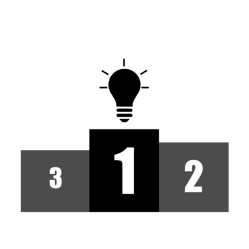 The Lynx MiND Engine is designed with memory optimization and CPU efficiency in mind, resulting in a small daemon footprint that delivers sub-second round trip response time when communicating with devices. This provides the speed end users demand, without using up precious system resources. The Lynx Cloud Service is a white label cloud service that can be integrated with your existing cloud service. 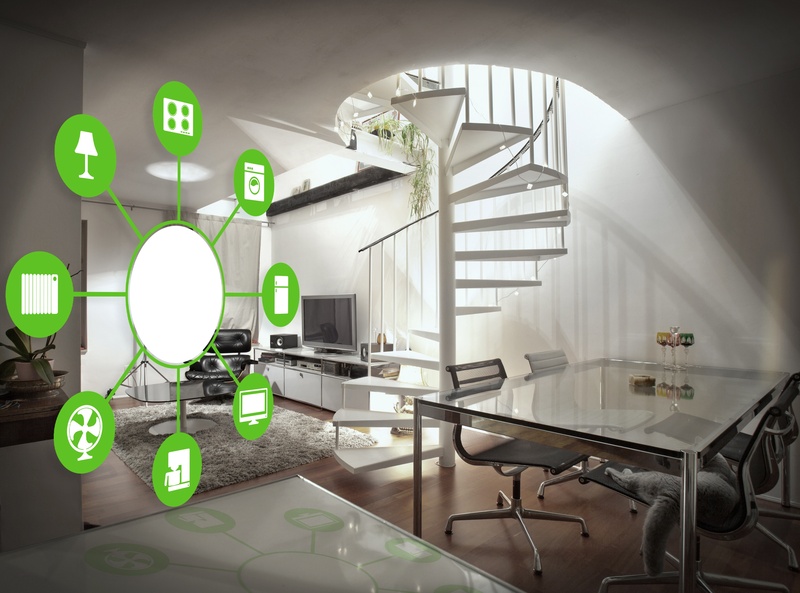 You maintain the direct relationship with the end-user, we enable smart home use cases. The Lynx Cloud Service provides the ability to easily incorporate and integrate additional services. As Lynx MiND smart home uses cases evolve, you will be able to roll them out to your end users easily. Through the Lynx Cloud Service you can offer remote access (the ability to manage smart home devices when not at home) to end-users as a premium service. The Lynx MiND Mobile App is a white label mobile app that allows you to introduce in-app purchases and upgrades to your end-users. The Lynx MiND Engine, which is based on the IoTivity-Lite architecture, is a secure single control point which can provide usage information for all smart home devices, including resource constrained devices. *Control of some smart home devices may require hardware-based and software-based bridges. Lynx MiND transforms your gateway, NAS, wireless router, STB, home controller or other device into a central smart home hub. What Can Your Device Do With Lynx MiND? For a device to be a smart home hub, it needs to be able to perform the functions listed below. When your gateway, NAS, wireless router, STB, home controller or other device is embedded with Lynx MiND all of these functions are included, and your device is transformed into a smart home hub. Interoperate with OCF Certified smart devices, as well as those smart devices utilizing other smart home protocols via an IoTivity bridge. Through a mobile app, discover smart devices on the home network such as thermostats, lights, locks, cameras, appliances, motion detectors, TVs, speakers etc. Directly and securely control the functions of smart devices Lynx MiND discovers, such as temperature for a thermostat, on/off and colors for lights, locking/unlocking doors, activating cameras and motion detectors etc. Create automated scenes such as Wake Up, Go To Bed, Leaving Home, Coming Home. For example, a "Wake Up" scene might turn on the bedroom light, turn up the thermostat, start the coffee maker and play music on the bedroom connected speaker – even if these devices were not made by the same manufacturer. Through the Lynx MiND Rules Engine (U.S. Patent Pending), have an event trigger a set of actions. Example: If a motion detector detects motion in another part of the house, while you are home alone, have your lights blink and play an alarm sound on your connected speakers. Control and manage all of the functions listed above, while not at home, using a mobile app. What Can Your End Users Do with Lynx MiND on Your Device? Market research suggests various reasons why consumers are adopting smart home devices and services: security, peace of mind, convenience, ease-of-use and saving money are among those cited. Some characteristics of consumers who find smart home value propositions more appealing are: people who are often away from home, those who have children in the home, or those who have high concerns about security and privacy. What are some of the purchase triggers for these groups? Triggers include: increased affordability of products, when people move to a new location, after a significant life event (e.g. marriage, kids, aging parents), or after experiencing a security issue. Through the Lynx MiND Rules Engine, your device becomes a Smart Home hub, which allows your end-users to easily and intuitively automate their home. If you are ready to establish a business in the emerging smart home market, differentiate your products to increase unit sales and gross margins and introduce innovative business models to your customers, please contact us at: sales@lynxtechnology.com or +1 (855) 596 9832 ext 1. Embedded software on your product, which provides smart home hub functions such as device discovery, secure device control, scene creation and event driven rules. Utilizes a small footprint implementation of the IoTivity framework, IoTivity-Lite, and is ideally suited for smaller, resource-constrained devices. Mobile companion application for end-users for device discovery, secure device control, scene creation and event driven rules. Can be white-labeled or functionality can be integrated into your existing end user facing app. Managed by Lynx and provides secure remote access, real time remote notifications and reporting. Capable of being integrated into your existing end user cloud service.